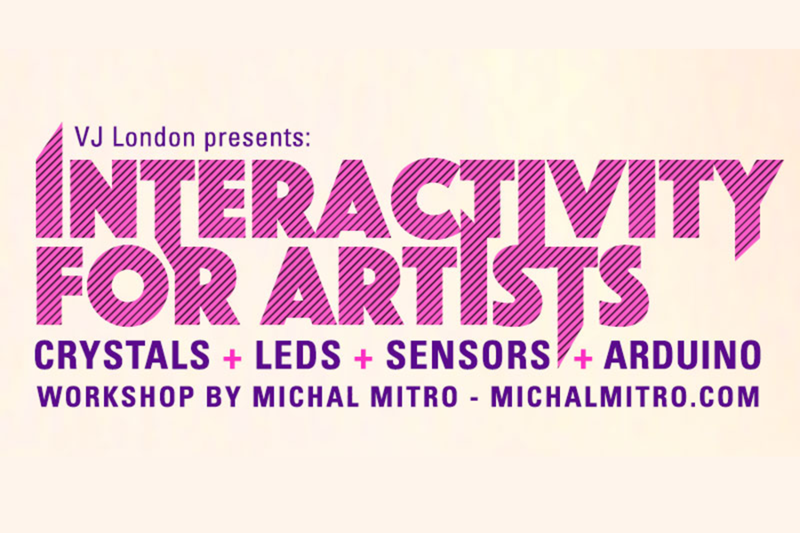 In this 2-days intense workshop Michal Mitro will introduce visual artists to the world of interactivity. Together you will (briefly) look at the history of interactive art and use of interactivity in visual and time-based arts followed by an exploration of several strategies on how to approach interactivity from both a conceptual and technological perspective. Participants will be guided through a hands-on project that directly demonstrates and teaches how simple interactive elements can be embedded into an artwork to create a meaningful piece. 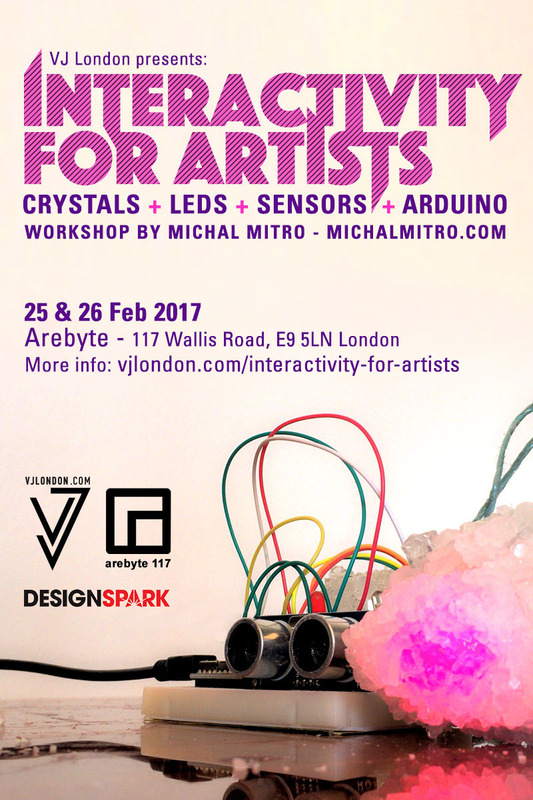 Following on, participating artists will be introduced to the basics of simple analog electronics in order to directly utilise them in the project. 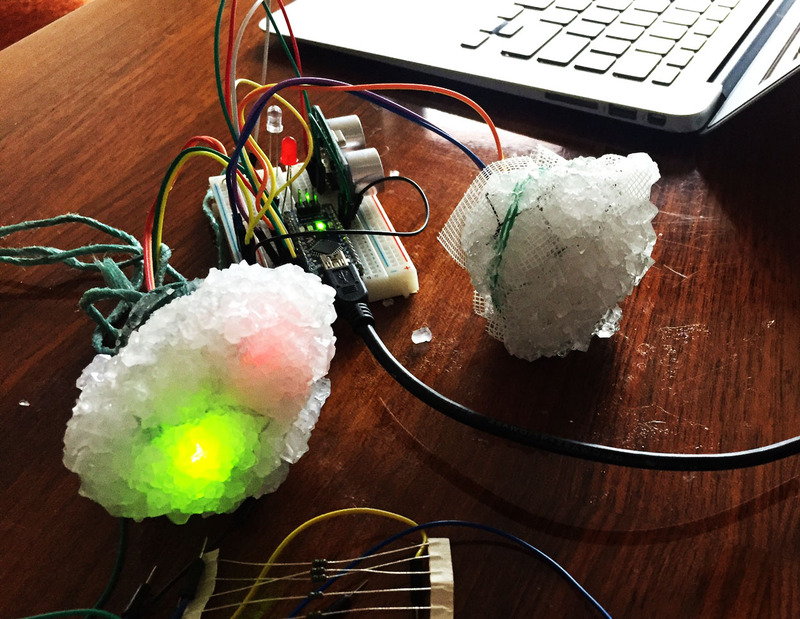 All parts of the circuit will be connected together (no soldering required), to Arduino, and to LEDs embeded in grown borax crystals at which point ultrasonic proximity sensors will be introduced to create an interactive environment. All necessary materials and components which participants get to keep are included in the price of the workshop making it incredibly good value for money. 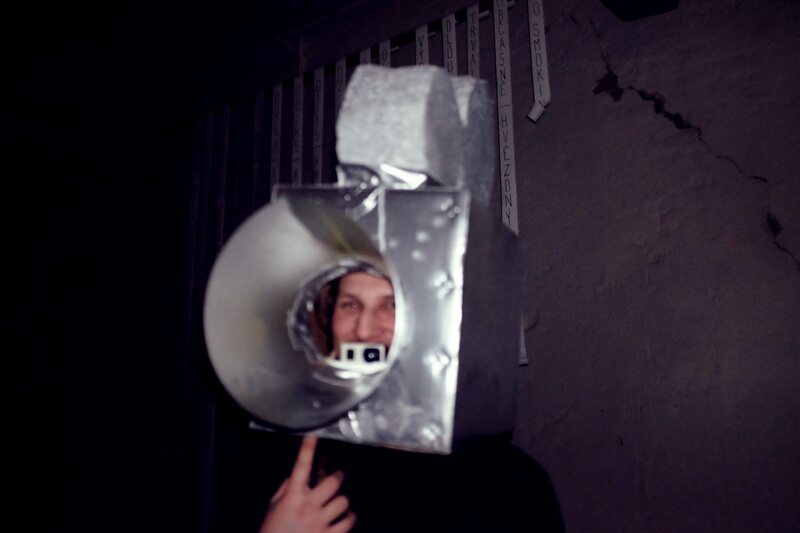 Michal Mitro (1989, Slovakia) is a conceptual artist, composer and performer working across a wide range of media. Coming from a Social Science background he aims to doubt and discuss the status quo of the “naturallygiven”, “normal”, and “traditionally right”. He focuses his attention on nuances of every day life that, granted their ordinariness and omnipresence, cease to attract any interest and critical thought and are widely but silently accepted. He, too, strives to diminish and ultimately defy the border between audience and artist/composer, to redefine the art making process and to work towards more inclusive, more accessible and more public art. Michal Mitro has been educating himself on various fields of art since 2010. After he graduated in Psychology and Sociology at Masaryk University, Czech Republic in 2013, he went on to study Sculpture and Sonic arts at University of Tasmania, Australia and later on Karawitan (traditional Indonesian music) at ISBI Bandung. Recently he finished a residency in Kersan Art Studio in Yogyakarta, Indonesia where he’s been based for a past year.